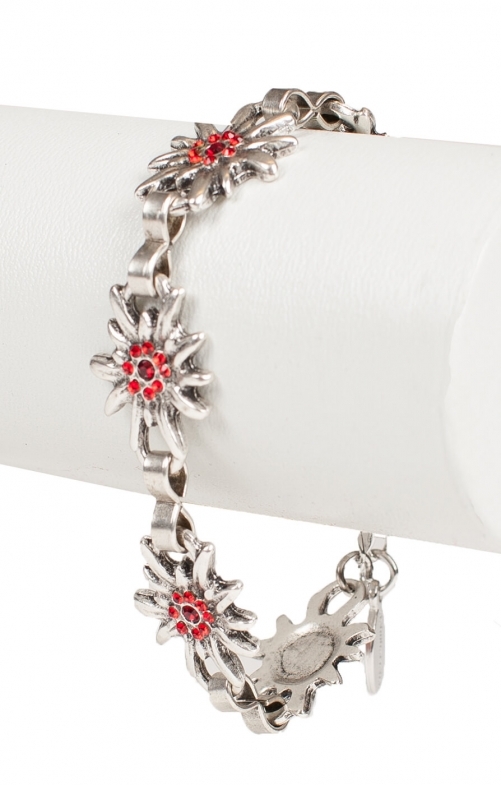 Women’s edelweiss bracelet with red gemstones. This nickel-free metal bracelet measures 18-25cm in length and is the perfect accompaniment to Oktoberfest or any special occasion when you really want to shine. The traditional Bavarian-style edelweiss flowers are set with dazzling red gemstones in the centre that catch the light for extra effect.